Oxford leather shoes, which is made of genuine leather and use for hotel management and offices.Its sole is polyurethane material which is best for all seasons and have durabality and comfortable. 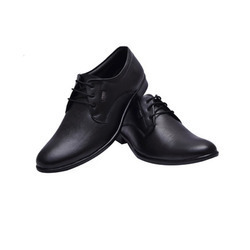 Our formal men’s footwear also includes Black Leather Shoes that are extremely comfortable. These shoes make an ideal match with formal suits and exude masculine appeal at its best. These can be easily tied with laces that are manufactured from qualitative fabric. We are emerged in offering premium quality Handmade Leather Shoes. With the help of our skilled professionals, we are able to offer an array of Shoes to the customers as per their demands. Our professionals manufacture these products according to the clients demands and preferences. We are manufacturer and exporter of Leather Armor Roman Shoes and sandals. We have wide range of Roman Shoes. Light weight , comfortable, officers shoe for daily wear with and with out steel toe. made of natural leather, cushioned foot bed for day long comfort. If so, please contact us, we can supply regularly all Genuine Export Surplus from India. Both branded and Non Branded Shoes. We deal with only Genuine Export Surplus, we don’t manufacture anything what we offer. 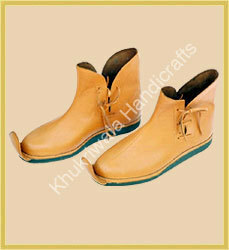 We are offering a premium quality range of all type of Leather Shoes in different designs and style. We are instrumental in offering a wide range of Leather Formal Shoes to our clients.